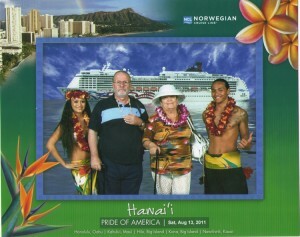 If the Bible teaches us about the Noah Ark during the universal flooding, then it is here, in the Pacific Ocean, around the Hawaiian Islands. The impression of water, endless water, waves and still waters. Unforgettable, unrepeatable colors of the Pacific Ocean! Far-far-away is lying the horizon which one cannot dare even to think that it is possible to reach. The Pacific horizon is beckoning you as if the legendary Mermaid who is singing a beautiful melody invites you into her domain, un undersea world. Horizon feeling is irresistible: “Come, come closer to me. Pay a visit, my beloved friend. Be my best friend!” , such words are sounding in your head involuntary. When winds are raging o’er the upper ocean and billows wild contend with angry roar, ‘tis said, far down beneath the wild commotion that peaceful stillness reigns evermore. Far, far beneath, the noise of tempests dies, and silver waves chime ever peacefully, and there is no rude storm, fierce of which flies soaring and does not disturb your inner part immersing into the deeper sea of your own serenity. Perhaps, after all, our best thoughts come when we are alone. At this point I want to stop myself. Alone, but we are together, me and Janko, both are sharing the Pacific tranquility without interfering into each other’s thoughts. It is good to listen, not to voices but to the wind blowing, to the brook running cool over polished stones, to bees drowsy with the weight of pollen. If we attend to the music of the earth, we reach serenity. And then, in some unexpected way, we share it with each other first, later with others. There is nothing so lovely and enduring in the regions which surround us , above and below, as the lasting peace of a mind centered in serenity. Paradise is where we are. 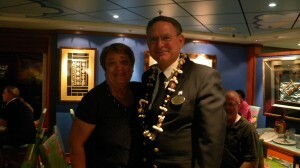 We are now in Honolulu, O’ahu on NCL “Pride of America”, cruising around the Hawaiian Islands. 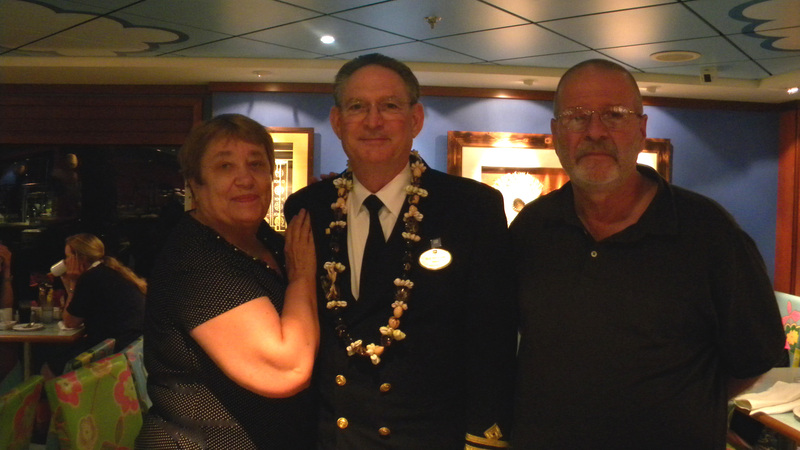 Above the photo of the ship and us, Janko and me arriving for a trip, and its Master – captain Willian Buz Radigan and me, and aloha greeting from Hawaii.